Button beads are small glass beads which resemble modern buttons, although they do not have a group of central holes. 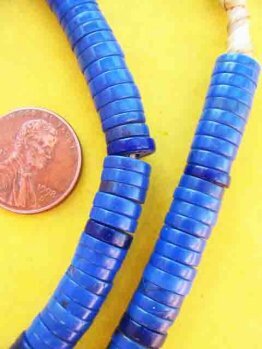 These beads date back to the Etruscan period and the time of the Roman Empire, but later found their way to Syria and Egypt. 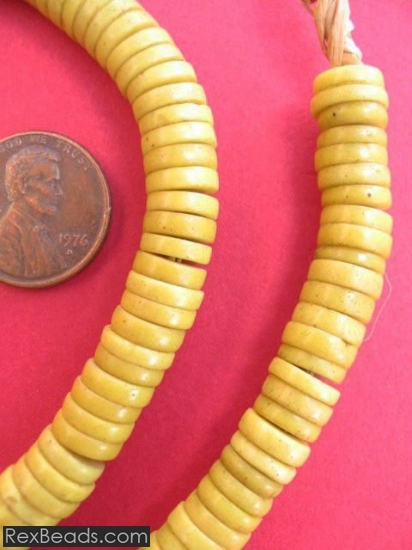 Button beads are generally very beautiful and boast artistic workmanship. 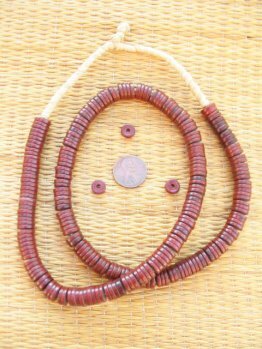 Today as in the past, button beads are used to make exquisite necklaces using these beads entirely, some of which may be cemented together two and two in order to form a single bead. Button beads take on various shapes including circular, flat, oval, plane, convex or convex-concave shapes.